My name is Daniel, or Dan to some of my foreign friends (feel free to call me by that name). 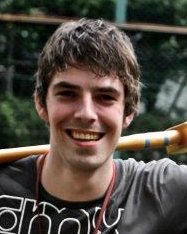 I’m from the Netherlands and I’ll be joining World Campus International as one of the counselors. I’m currently a Japanese major student at the university of Leiden, so I’m really thrilled to go to Japan and experience all the aspects of World Campus – Japan program. I’ve been a participant last year, so I know it is going to be amazing again! I see myself as a positive and outgoing person and I’m eager to meet new people. I’m really looking forward to this year’s program and I would like to get to know more people from all over the world and learn about many different cultures. I hope to be of good support to all the participants, so feel free to contact me any time! I’m looking forward to meeting all of you, see you soon!